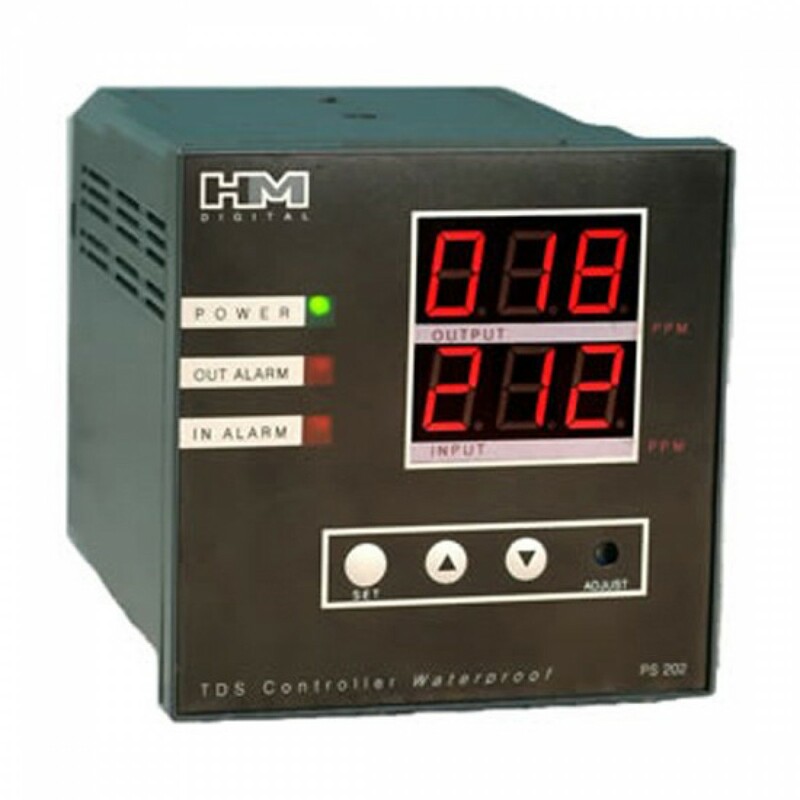 The Dual Display Controller simultaneously monitors and controls the total dissolved solids (TDS) levels of the feed water line and product water line for high output commercial systems. The PS-202 Dual Display Controller has a large, bright LED displays. An alarm will sound if the TDS level rises above the user-set level for both lines. The Controller installs easily in minutes. The HM Digital PS-202 Monitor Controller includes two 0.5-inch sensor probes (at no extra cost).